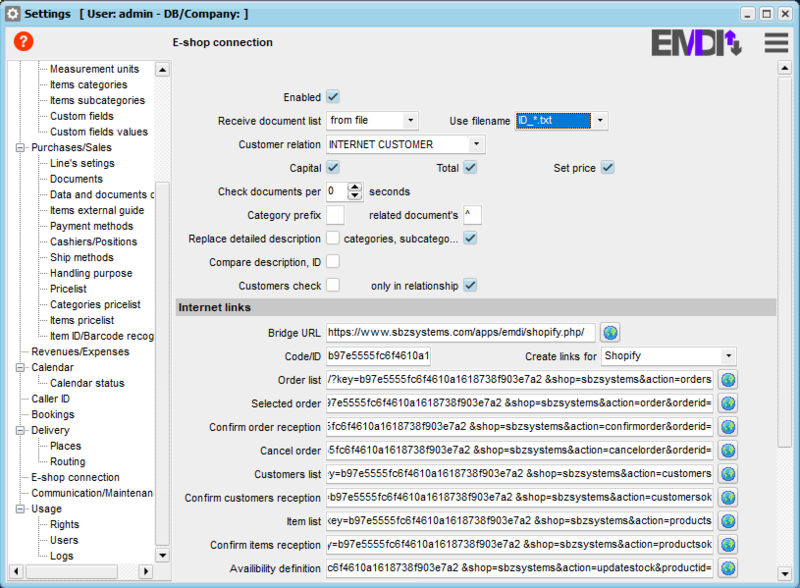 EMDI Business Management now supports Shopify! The connection is made through the new “bridge” file and the EMDI connectror app. With just one click the bridge downloads full client details, products (prices, photos etc.) 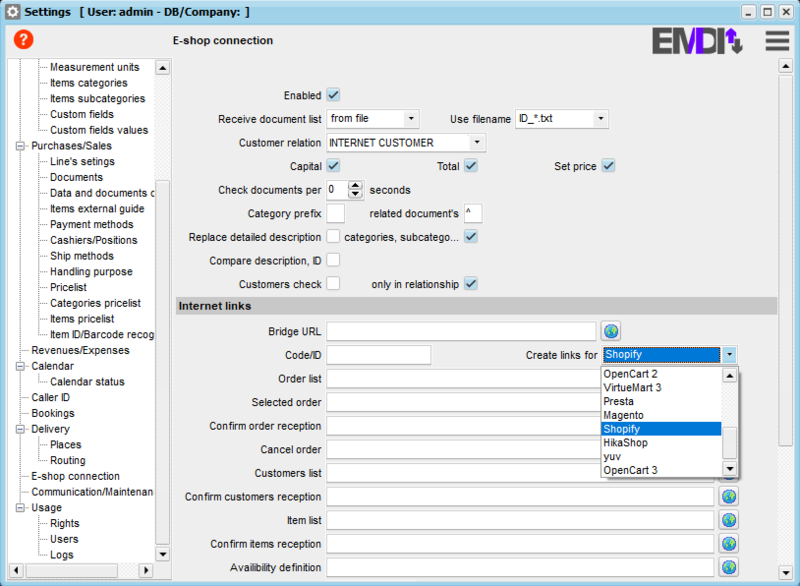 and order list, ready to be invoiced, as well as supporting inventory managing by uploading availability on Shopify.